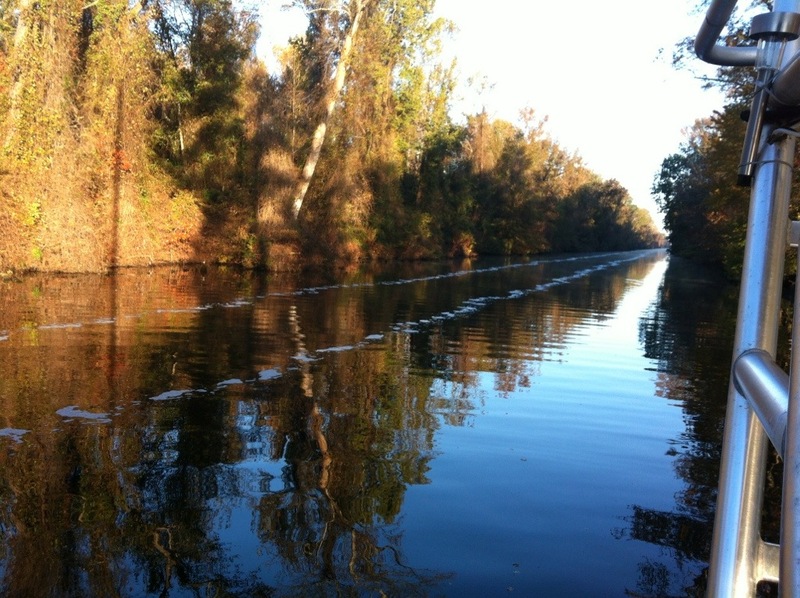 Passing in the Great Dismal Swamp Canal ranges from extremely difficult to impossible, because of the narrow width and shoal depth. These are our impromptu traveling companions. 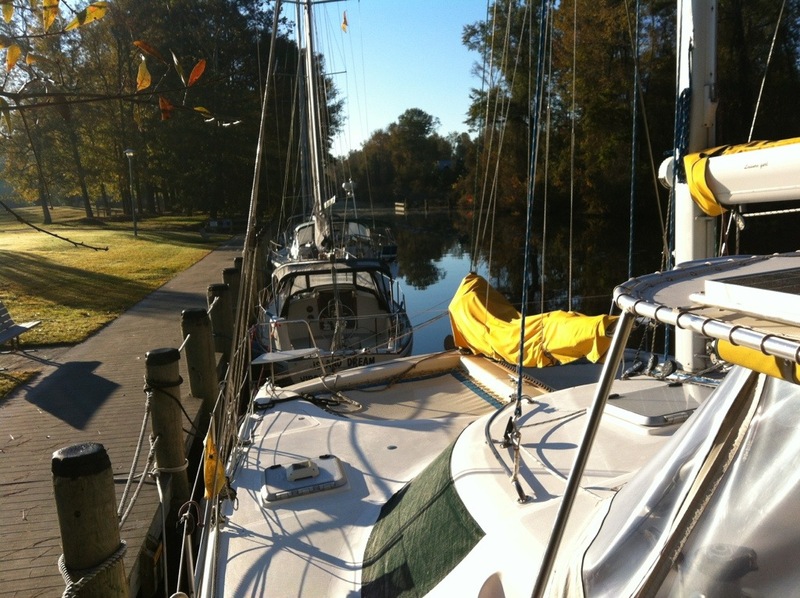 It’s a cold morning here at the Welcome Center on The Great Dismal Swamp Canal where G. Washington slept, The Raven was written, and “Showboat” was inspired. I guess you could say that’s the view from the front porch. I awoke at 5am to a cabin that was 39 degrees Fahrenheit. I could see my breath. I tried to stay under the covers a little longer but even Jack “The Furnace” wasn’t putting out much heat. Eventually I went upstairs, started the generator and turned on the little space heater, then began the coffee-making process. Here’s how I maximize the use of water and BTUs. First I boil a kettle of water and fill the empty thermos pot to warm it up. 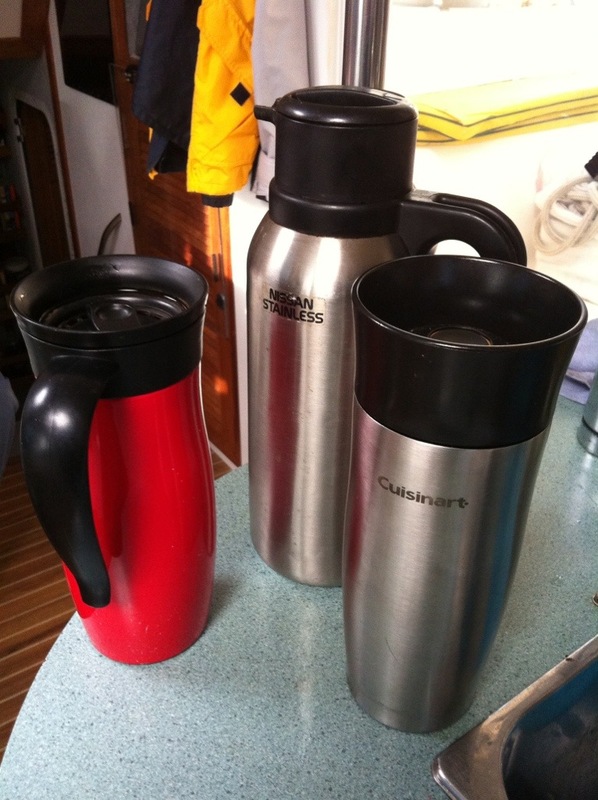 I refill the kettle and when that water is boiling I pour the hot water from the thermos pot into our two thermal coffee mugs to warm them, then use the fresh boiling water to make coffee in the thermos pot. Finally, when the coffee is made, I empty the hot water from the two thermal mugs into the dishpan so we can wash the dinner dishes without getting chapped hands. Don’t we have a hot water heater, you ask? 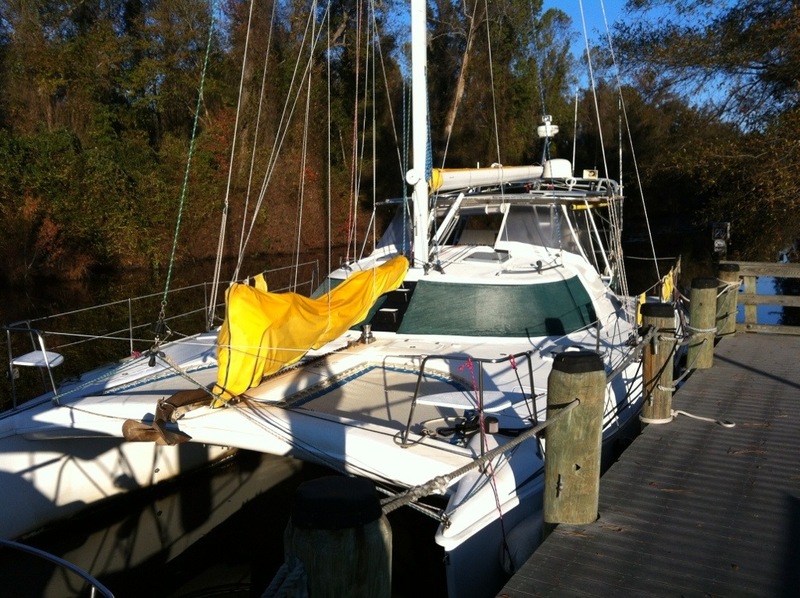 Why yes, we do, and when we’re motoring all day as we do in the ICW the water gets plenty hot. But in these temperatures, by morning there’s not much heat left. It’s a little too much like camping in this climate, but we look forward to the temperature inching up day by day. And when the sun is shining, it’s glorious.